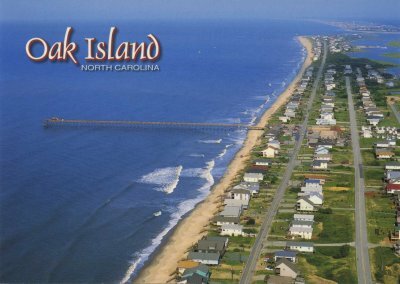 Oak Island, NC is a family-friendly beach community with a small-town atmosphere. The Town boasts 65 public beach accesses on miles of sandy beaches, as well as fishing docks and piers, boat ramps and many other access points to the Intracoastal Waterway and the Davis Canal, making it the perfect location for fishing, boating, kayaking and other water activities. The Town also has a municipal golf course and eight parks, ranging from a fishing T at the west end of the island to a large park on the mainland complete with baseball and football fields. There is a skate park, a dog park, a cabana on the oceanfront with an observation deck and plenty of places to find a quiet spot to relax and enjoy the view. Area businesses, like piers and marinas, restaurants and ice cream shops, also help make vacationers feel welcome while catering to full-time residents. Hooks Systems of Wilmington, NC provides 24 x 7 monitoring and maintenance of the Town of Oak Island’s network including Fire Stations, Police station, Public Utilities and recreation, utilizing their Best-in-Class IT Remotecare Services and unique Cloud Storage solution. Are Data Backup & Redundancy missing from your IT picture?